an authoritative formulation of the beliefs of a religious community (or, by transference, of individuals). The terms �creed� and �confession of faith� are sometimes used interchangeably, but when distinguished �creed� refers to a brief affirmation of faith employed in public worship or initiation rites, while �confession of faith� is generally used to refer to a longer, more detailed, and systematic doctrinal declaration. The latter term is usually restricted to such declarations within the Christian faith and is especially associated with churches of the Protestant Reformation. Both creeds and confessions of faith were historically called symbols, and the teachings they contain are termed articles of faith or, sometimes, dogmas. The role of belief within religion is interpreted differently in the various empirical disciplines and by the proponents of particular theological or philosophical positions. Traditionally, it has been considered the primary factor in religion, but some modern scholars often regard beliefs as rationales for ritual, that is to say, as secondary expressions of religious experience or as a posteriori ideological sanctions for social and cultural patterns. The present article follows a current anthropological and sociological tendency to define religion as a symbolic system in which ideas and their concomitant attitudinal aspects and actions provide to an individual or group a model of itself and its world. From this perspective, every religion involves distinctive views or beliefs regarding the nature of ultimate reality. These beliefs, however, need not be explicitly articulated but may be wholly embedded and transmitted in rituals, myths, and social structures and practices. This is especially true in primitive religions. Even when differentiated from other factors, beliefs are frequently not stated in creedal form but are diffusely expressed in sacred writings, legal codes, liturgical formulas, and theological and philosophical reflection. This was true in the ancient cultural religions of Egypt, Mesopotamia, Greece, and Rome, and in traditional Hinduism, Confucianism, and Taoism. When, however, a religion is transmitted from one culture to another (as from Semitic to Hellenistic; i.e., Palestine to Rome) or claims some degree of universal or exclusive truth, formal creeds often develop as aids in maintaining continuity and identity. They serve this purpose because the relative abstractness, comprehensiveness, and concentration of the verbal expressions of beliefs enable them to serve better than most other forms of religious symbolism as stable identifying marks in pluralistic, changing, proselytizing, and missionary situations. Creeds in the full sense are therefore found only in so-called universal religions, such as Zoroastrianism, Buddhism, Judaism, Christianity, Islām, and certain modern Hindu movements (e.g., Brahmo Samaj). Even here they are of variable importance, with some groups rejecting all formal creeds. Confessions are less common. They function to define the distinctive beliefs of opposing or uniting groups within a given religion or to formulate doctrines appropriate to new circumstances, and are chiefly a Christian phenomenon during the period from the Reformation to the present. Related to creeds in the full sense are certain words and phrases which have partially creedal functions. Terms like tao (literally, the �way�) in Taoism or li (rules of propriety) and hsiao (filial piety) in Confucianism summarize fundamental emphases of the religious systems of which they are a part. The endlessly repeated mantra (evocative sacred syllables) of magic invocation, Oṃ mani padme hūṃ (�O, the jewel in the lotus�), especially popular in Tibetan Buddhism, is in one sense a profession of belief in the Avalokiteśvara (jewel�s) presence in the world (lotus). Various Hindu mantras, most notably the Gāyatrī prayer from the Rigveda (Ṛgveda) (3.62.10) that is learned as part of the initiation rites of Brahmin youth, also serve in part as professions of faith. Indeed, it is primarily through liturgical utterances (e.g., the Lord�s Prayer in Christianity), that religious identity is signalized and faith confessed in most religions. Even earlier perhaps are such Zoroastrian formulations as �I profess myself a Mazdāh-worshipper, a Zarathustrian, enemy of the demons, servant of the Lord� (Yasna 12,1), whereby the believer declared himself a monotheist, a member of a specific community, and a dualist. The intensely anti-polytheistic faith of Islām is summed up in the shahādah: �there is no God but God; Muḥammad is the Prophet of God.� This is proclaimed in the daily calls to prayer from every mosque, and every Muslim must recite it aloud with full comprehension and assent at least once in his life, and profess it without hesitation until his death. Doctrinal disputes have contributed to the development of additional creedal formulations called ʿaqāʾid (singular, ʿaqīdah), but these do not divide Islām into clearly marked confessional groupings or denominations such as exist in Christianity. In Judaism, the central affirmations of belief are parts of worship; e.g., the confessions of the oneness of God in the Shema (Deut. 6:4 �Hear, O Israel: The Lord our God is one Lord�) and of the resurrection of the dead in the amidah (standing prayer). Of the various medieval attempts to formulate creeds, the most enduring has been Maimonides� Thirteen Principles of Faith, but these have never become formally binding. The Reform movement�s doctrinal declarations, such as the Pittsburgh Platform (1885), have been without lasting influence. The reason for this paucity of creeds is that Jewish identity has been chiefly defined in terms of the observance of the commandments and of the Oral Law, not the acceptance of doctrines. In Christianity, in contrast, there are over 150 officially recognized creeds and confessions. In part this is because the church was from the beginning doctrinally oriented, making the acceptance of a specific kerygma (proclamation) a condition for membership. The faith of the community was expressed in acclamations such as �Jesus is Lord� (e.g., Rom. 10:9, I Cor. 12:3) and in longer, partly stereotyped summaries of essential beliefs (e.g., I Cor. 15:3 ff.) For the New Testament community, in contrast to some Christian groups in later times, a creedless Christianity was inconceivable. Fully formed creeds first developed for use in baptismal rites and catechetical instruction. They generally had three sections concerned with God the Father, Jesus Christ, and the Holy Spirit, but were variable in wording and content and only gradually became standardized. This process culminated in the West in the Apostles� Creed, which is now almost universally recognized by Western churches, and is still used in baptismal rites as well as public worship by Catholics and most Protestants. This creed is wholly derived from New Testament affirmations, but the 5th-century legend that the Twelve Apostles were its authors is without foundation. Not until the 8th century is it quoted in its present wording. Its sources, however, are to be found in earlier baptismal creeds, most probably in the Old Roman Symbol, which appears to go back in its essentials to the 2nd century. As is true of other creeds, it is in part intended to exclude heretical views. For example, against Gnosticism and Marcionism (dualistic heresies), it emphasizes that God, not an evil demiurge, is the creator of the world, and against docetic views that Jesus was a heavenly being with a phantom body, it insists that he was born of the Virgin Mary and actually suffered and died and was buried. The Nicene Creed exists in two versions and represents a new type of doctrinal statement. It was first formulated at Nicaea in 325 by the first of the universal, or ecumenical, councils, after Christianity became the official religion of the Roman Empire, and was designed not as a baptismal confession but as a binding standard of orthodox teachings. Its second version has become the most fully ecumenical of Christian creeds, accepted in East and West alike, including the major Protestant bodies. In Eastern churches, it is regularly employed in both Baptism and eucharistic worship; in the West, only in the Eucharist, and chiefly by Roman Catholics, Anglicans, and Lutherans. The first version of this formulary is that promulgated at the Council of Nicaea in 325, but the second version, the �Niceno-Constantinopolitan Creed,� which has everywhere become standard and is generally referred to as the Nicene Creed, was affirmed at the Council of Chalcedon (451) as the Nicene �faith of the 150 fathers� (i.e., the Council of Constantinople of ad 381). In 4th- and 5th-century usage, �the Nicene faith� did not refer to the creed of Nicaea as such, but rather to its teaching. Both versions make the same fundamental affirmations against the Arian heresy that denied the equality of the Father and the Son, asserting that Jesus Christ, the Son of God, is homoousios (�of one substance�) with the Father. They are also both derived from Eastern baptismal formulas, though which ones is in dispute. The Athanasian Creed, also called the Quicumque vult from its initial words, is the last of what in the West are regarded as the three catholic or ecumenical creeds. It has received some slight recognition in the East, but only since the 16th century. While officially accepted in the Roman Catholic, Anglican, and Lutheran communions, its liturgical use has greatly declined in recent centuries. In part this is because it is in form more a theological exposition than a creed, and in part because of the damnatory clauses that exclude from salvation all those who do not accept every detail of its teaching. The main themes are the nature of Christ and the Trinity, and these are developed in opposition not only to Arianism but also apparently to later heresies such as Nestorianism and Eutychianism. While its doctrine can in general be attributed to the 4th-century Church Father Athanasius, he was not its author. It probably originated in southern France about 450�500, although there is no scholarly consensus on this point. Official doctrine has chiefly developed during later periods of church history by the formulation of confessions of faith, rather than new creeds. This process did not begin, however, until the 16th-century Reformation. During the Middle Ages, dogmas evolved slowly, almost unconsciously, and then were ratified from time to time by decisions of the church councils, such as the decision on the seven sacraments at the Council of Ferrara-Florence in 1439. The Protestant Reformers, however, were confronted with the need to define and make legitimate their views over against the established system, and thus issued comprehensive manifestos that, much more than the early creeds, were not only catalogues of beliefs but also interpretations and apologies for them. The Roman Catholic and Eastern Orthodox churches responded with their own confessional statements. The Augsburg Confession (1530) was the first of these statements, and still remains the most authoritative standard in Lutheran churches. It (as well as the Apology of the Augsburg Confession of 1531) was written by Philipp Melanchthon and approved by Martin Luther, and presents an irenic statement aiming to show that the pope and his allies, not the Reformers, had departed from Scripture and the tradition of the early Fathers. Luther�s Small Catechism also enjoys official status in all Lutheran churches and has been determinative for most Lutheran preaching and instruction. The Formula of Concord (1577) further defined the Lutheran position in reference to controversies both within and outside the ranks. These four writings, together with the Large Catechism (1529), the Schmalkald Articles, and the Treatise were assembled into the Book of Concord (1580), which has official status in many Lutheran churches. In the Reformed tradition stemming from John Calvin (1509�64) and Huldrych Zwingli (1484�1531), each national church produced its own confessional documents. No one of these is authoritative for all, though some (e.g., the Heidelberg Catechism; 1563) are widely esteemed and used. 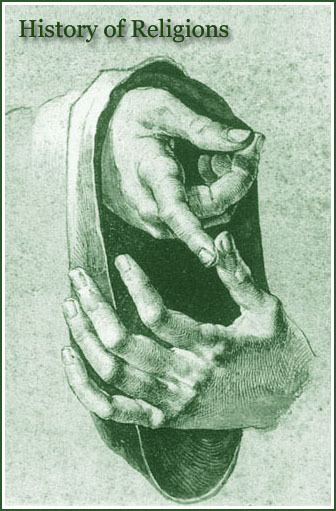 In Switzerland, the First (1536) Helvetic Confession and the Second (1566) Helvetic Confession are the most generally accepted. The French Gallican Confession of 1559 is much admired, and in the Low Countries, the Belgic Confession of 1561 is important. The Netherlands was also the site of the international Synod of Dort (1619) that presented an especially rigid statement of Calvinism against Arminianism (a view that asserted the compatibility of God�s sovereignty and man�s free will). This same emphasis, combined with Puritan covenantal theology, is reflected in the English Westminster Confession of 1646 that in Scotland replaced the Scots Confession in 1560, was adopted with modifications by Congregationalists and many Baptists, and still remains standard for American Presbyterian churches, though with some revisions. The Thirty-nine Articles (1563) is the only doctrinal formulation other than the early creeds recognized in the Church of England and its offshoots, but its authority is not great. In the Anglican Communion, The Book of Common Prayer plays the identity-sustaining role served by confessions in Lutheran and Reformed churches. The Thirty-nine Articles, abbreviated to 25, are also the chief doctrinal standard in the Methodist churches, but their authority is uncertain. Confessional documents are of little significance for most of the radical groups (e.g., Anabaptists) coming out of the Reformation. To be sure, the Anabaptist Schleitheim Confession (1527) was historically important, the Dordrecht Confession (1632) still has some standing in Mennonite churches, and various Baptist and Congregationalist statements could also be mentioned. The general tendency in these churches, however, has been to oppose formal creeds and confessions for fear of stifling the workings of the Holy Spirit or imperilling the sole authority of the Bible or, in theologically liberal circles, endangering freedom of thought and conscience. Roman Catholic doctrinal statements are not usually called confessions, but the presentation of the distinctive points of Catholic dogma in the Decrees and Canons of the Council of Trent (1564) is as fully elaborated as are Protestant confessional writings. The dogmatic constitutions of the first Vatican Council (1869�70) and papal definitions of the dogmas of the Immaculate Conception (1854) and of the Assumption (1950) also have some of the character of confessions. Eastern Orthodoxy responded to Protestant and Roman Catholic challenges with the confessions of Peter Mogila, Metropolitan of Kiev, in 1643 and of Dosítheos, the Patriarch of Jerusalem, in 1672, both adopted by the Synod of Jerusalem (1672), as well as with the Catechism of Philaret, Metropolitan of Moscow, revised and approved by the Holy Synod in 1839. The Orthodox, however, place little emphasis on these documents, for they regard only the Nicene Creed with its Chalcedonian additions as fully authoritative, and in practice also treat their historic liturgies as doctrinally more important than later statements. Recently new types of confessions have begun to emerge. With the decline of state churches, confessions are no longer legally established norms and can once again regain their original function of witnessing to basic convictions. Especially notable in this respect is the Barmen Declaration, formulated in 1934 by a group of Reformed and Lutheran churchmen in opposition to the Nazi-influenced �German Christians.� Because of the advance of the ecumenical movement, recent confessional statements have usually been unitive rather than divisive. The doctrinal basis of the World Council of Churches is limited to the affirmation that it is �a fellowship of churches which accept our Lord Jesus Christ as God and Savior� (1961). Preparation of joint Protestant and Roman Catholic official translations into English of the Apostles and Nicene Creeds commenced in 1969. Another characteristic of contemporary doctrinal statements, such as those of the Roman Catholic second Vatican Council (1962�64) and the Presbyterian (U.S.A.) Confession of 1967, is the attempt to reformulate traditional beliefs in ways appropriate to modern circumstances. Despite these developments, creeds and confessions are losing influence in both Christian and non-Christian groups. They are, among other things, often attacked as obstacles to the individual�s freedom of thought. This objection applies with special force against a fideistic attitude, such as is illustrated in extreme form by the well-known saying attributed traditionally, though not altogether correctly, to the 2nd-century North African Church Father Tertullian, credo quia absurdum est, �I believe because it is absurd.� It is less applicable to another ancient and theologically more common approach summed up in the 11th- and 12th-century theologian Anselm�s (and, in a somewhat different wording, Augustine�s) classic phrase, credo ut intelligam, �I believe in order that I may understand.� The latter view claims that true faith promotes rather than suppresses inquiry and intellectual liberty. Yet, whatever the merits of such views, doctrinal convictions are clearly weakening, even in traditionally creedal and confessional bodies. The search for creedless religion is widespread. There is the possibility, however, that this trend may be eventually reversed because the quest for religious community is also strong, and may require the formation or re-affirmation of community-identifying beliefs; i.e., of creeds or confessions.